The term “cardiovascular disease” is often used interchangeably with “heart disease”— a term that generally refers to conditions that involve narrowed or blocked blood vessels that can lead to a heart attack, chest pain (angina) or stroke. Other heart conditions, such as infections and conditions that affect your heart’s muscle, valves or beating rhythm also are considered forms of heart disease. While cardiovascular disease can refer to many different types of heart or blood vessel problems, the term is often used to mean damage caused to your heart or blood vessels by atherosclerosis, a buildup of fatty plaques in your arteries. Over time atherosclerosis can make the wall of your arteries thick and stiff — sometimes restricting blood flow to your organs and tissues. Atherosclerosis is also the most common cause of cardiovascular disease, and it’s caused by an unhealthy diet, lack of exercise, being overweight and smoking. Heart defects usually develop while a baby is still in the womb. About a month after conception, the heart begins to develop. It’s at this point that heart defects can begin to form. Researchers aren’t sure about exactly what causes defects to begin, but they think some medical conditions, medications and genetics may play a role. Dilated cardiomyopathy is the most common type of cardiomyopathy. In this disorder, your heart’s main pumping chamber, the left ventricle becomes enlarged. 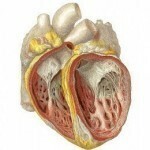 This therefore causes its pumping ability to become less forceful, and blood doesn’t flow as easily through the heart. Hypertrophic cardiomyopathy involves abnormal growth or thickening of your heart muscle, particularly affecting the muscle of your heart’s main pumping chamber. As thickening occurs, the heart tends to stiffen and the size of the pumping chamber may shrink, interfering with your heart’s ability to deliver blood to your body. Restrictive cardiomyopathy cause heart muscle in people to becomes stiff and less elastic. Viruses Heart infections can be caused by viruses, which include some that cause influenza, a rash called fifth disease (human parvovirus B19), gastrointestinal infections, mononucleosis and measles. Viruses associated with sexually transmitted infections also can travel to the heart muscle and cause an infection. Bacteria Endocarditis can be caused by a number of bacteria entering your bloodstream. The bacteria can enter your bloodstream through everyday activities, such as eating or brushing your teeth, especially if you have poor oral health. Myocarditis can also be caused by a tick-borne bacterium that is responsible for Lyme disease. Parasites can cause heart infections, they include Trypanosoma cruzi, toxoplasma, and some that are transmitted by insects and can cause a condition called Chagas’ disease. Medications that may cause an allergic or toxic reaction. There are many causes of diseases to your heart valves. 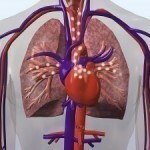 There are four valves within your heart that keep blood flowing in the right direction. 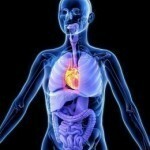 You may be born with valvular disease, or the valves may be damaged by rheumatic fever, infections (infectious endocarditis), connective tissue disorders, and certain medications or radiation treatments for cancer.